CTV > News > Services > Acquired, Life Science > InSound Medical, Inc.
InSound Medical, Inc. is a medical device company focused on the development and sale of next generation hearing aid solutions. InSound’s products, and the intellectual property that support them, are designed to address the traditional shortcomings of hearing aids by providing the 70 million hearing-impaired individuals worldwide with extended-wear, disposable products that have superior sound quality and durability. 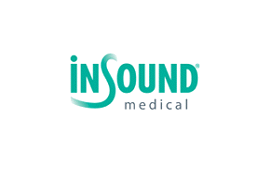 InSound Medical, Inc was acquired by Sonova Holding AG, of Switzerland.